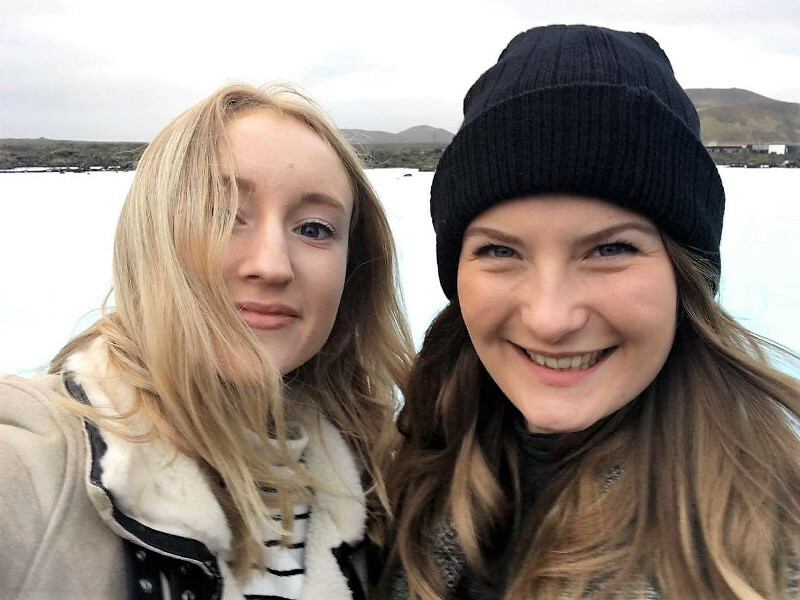 After a cancelled internal flight due to weather conditions, a change of circumstances meant that we spent the best part of Friday afternoon in one of the twenty-five wonders of the world; the Blue Lagoon. We weren't initially going to be able to fit in a trip to the lagoon as it was fully-booked all week and we only had half-days here and there to spare, but luckily our travel company organised a visit for us. Under an hours drive from the centre of Reykjavik, in the middle of nowhere a steaming centre of relaxation awaits and it did not disappoint. 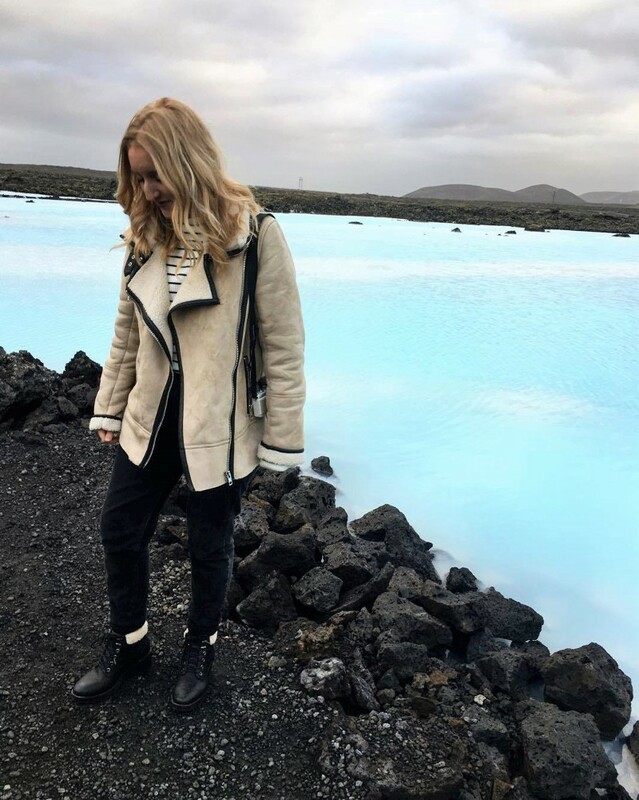 The lagoon is also only about twenty minutes from KEF international airport so a lot of tours combine it with your airport transfer; there's a place to keep your luggage and it's an amazing way to spend your last few hours on the island of natural wonders. When you get there, the queues seem excessive; it's inevitably going to be the top of everyone's to-do list. This is slightly off-putting but the lagoon itself never feels overcrowded, even during peak times as it is really expansive (and I honestly don't know where everyone disappears to). It's popularity really doesn't detract from the experience in my opinion and even outside of the lagoon the natural views are breathtaking to just wander around. After days of wind and rain, we were lucky enough to see the sun come out and set in the horizon, and it's the sun that makes the water that gorgeous shade of ice-blue (the water is actually white). As the sun never reaches very high in the sky through the winter solstice, rather than a blazing light, the low-falling sun creates a warm glow which is very atmospheric (and makes for greeeat lighting). Once you've had a drink at the swim-up bar (which has everything from green juices to bottles of prosecco), you can go and get one of the silica face masks; the ultimate relaxation when you've been trekking around a city. There's a small cafe for you to eat lunch/dinner (and keeping in line with the rest of Iceland, the prices are extortionate). There's also a beautiful-looking restaurant to book if you're feeling frivolous or wanting more than a sandwich. The lagoon has not only the main pool, but steambaths/rooms and a steam cave for you to explore. 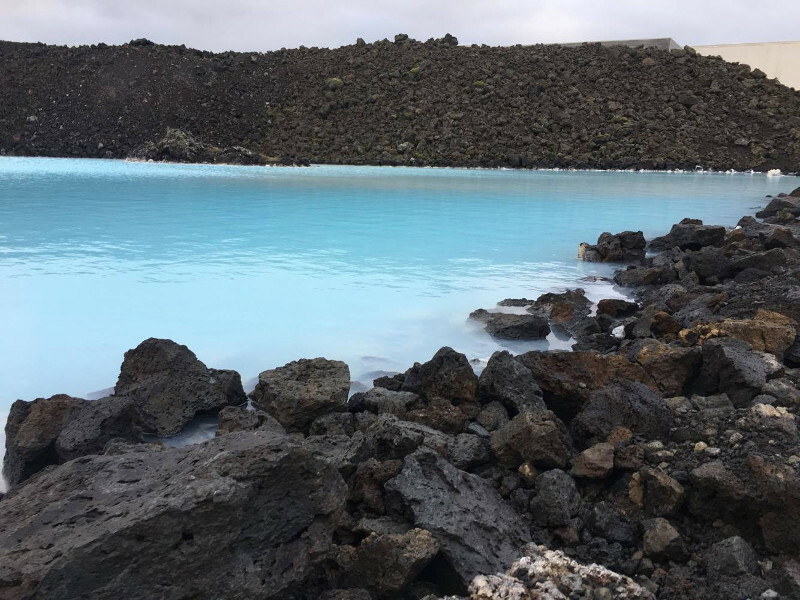 The geothermal water is composed of minerals, algae and silica and has skin-healing properties and it works wonders for your skin (we were advised to tie back our hair as the drying-silica can linger for days, and it really does..). Flip-flops and dressing gowns are a must as once you're out of the water it's freezing, as you'd expect in Iceland, but the pool itself its gorgeously warm and varies in temperature depending on where you stand. It's impossible to get a photograph without an un-assuming tourist covered in an algae-mask in the background but that is all part of the lagoon experience.. 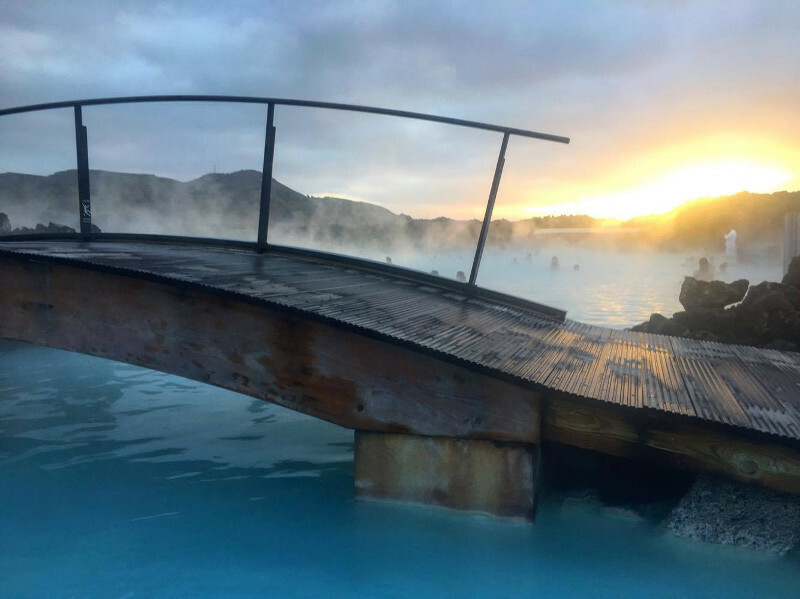 It's undoubtedly a must when visiting Iceland and you could easily while away an entire day in the pool, making it more than worth the cost. 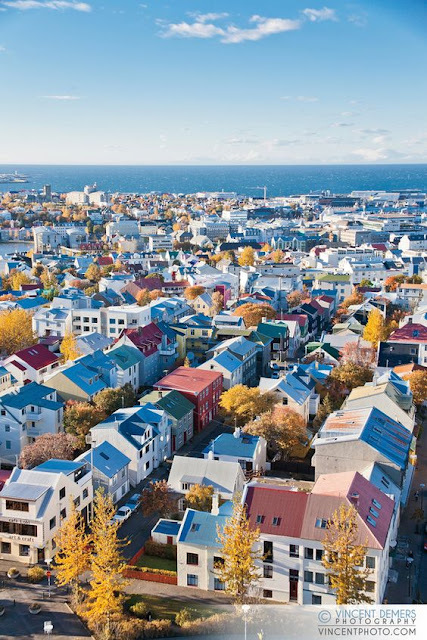 The weather proves to be changeable and ever-unpredictable in Iceland but this would be an idyllic way to while away an afternoon whatever the season.